Vejer de la Frontera, one of the most beautiful of the famous Andalusian Pueblos Blancos. Charming, Moorish hill top village of white-washed houses with narrow winding streets. Spectacular, panoramic views to the Atlantic coast some 14km away. It was there, at sea, that Lord Nelson defeated the Spanish and French fleets off Cape Trafalgar in 1805. 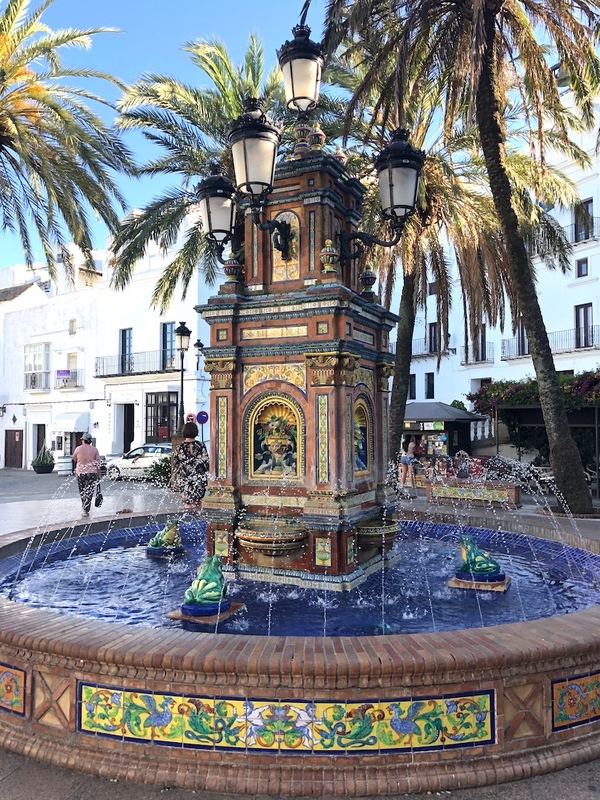 Sights to visit include the Moorish castle from 11th Century, the Arch of Segur and two historic churches: Iglesia del Divino Salvador and Santuario de la Nuestra Senora de la Oliva. The old Jewish quarter of the village is also worth a wander. There are plenty of places to eat. Especially notable is the El Jardin Del Califa restaurant which specialises in Moroccan and Middle Eastern cuisine. Book in advance for weekend dining. Under 30 min drive from Casa Isa Elena. Medina-Sidonia, a picturesque and historic hilltop town. Approx 30 min drive from Casa Isa Elena – map. The picture opposite is taken from the church bell tower. For a small fee you can explore the church, which has moorish influences and a very ornate high altar which took 50 years to complete. 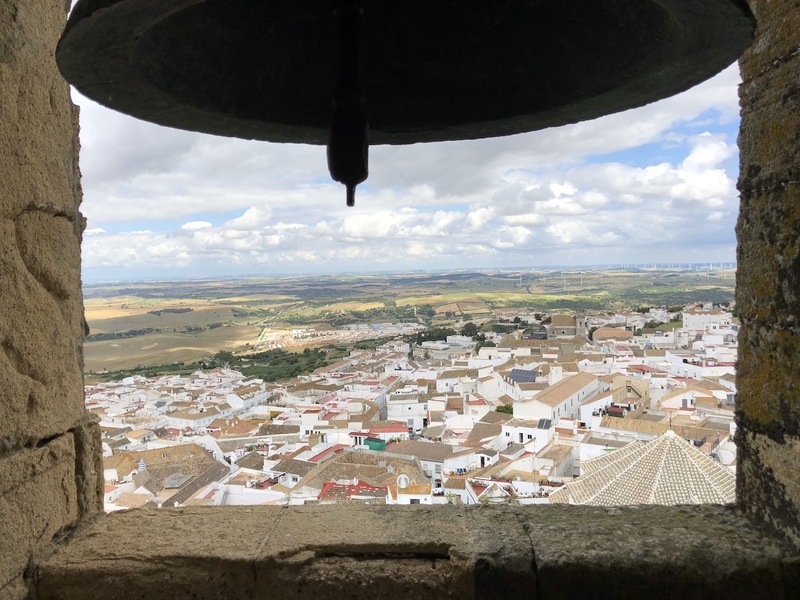 You can also climb to the top of the bell tower for stunning views of Medina Sidonia and surrounds.